Monitoring and enforcing compliance by health establishments with norms and standards prescribed by the Minister of Health in relation to the national health system. Ensuring consideration, investigation and disposal of complaints relating to non-compliance with prescribed norms and standards for health establishments in a procedurally fair, economical and expeditious manner. The term health establishment refers to both public and private healthcare services and facilities (see formal definition below). It includes hospitals and primary healthcare clinics and extends to emergency medical services, hospices, private medical practices and institutions offering frail care. Advise the Minister of Health on determining norms and standards that are to be prescribed for the national health system and on the review of such norms and standards. Inspect and certify health establishments as compliant or non-compliant with prescribed norms and standards or, where appropriate, withdraw such certification. Investigate complaints relating to breaches of prescribed norms and standards. Monitor indicators of risk to develop an early warning system related to serious breaches of norms and standards and report breaches to the Minister without delay. Make recommendations for intervention by national, provincial or municipal health departments or by individual health establishments to ensure compliance with prescribed norms and standards. Recommend to the Minister quality assurance and management systems for the national health system. Issue guidelines to help health establishments implement the prescribed norms and standards. Request or collect any information on prescribed norms and standards from health establishments and health service users. Liaise with and exchange information with other regulatory authorities on matters of common interest and specific complaints or investigations. Negotiate co-operative agreements with any regulatory authority in order to co-ordinate and harmonise their work where their jurisdictions are closely related. The OHSC is listed as a national public entity in terms of the Public Finance Management Act. The national health system is the South African system that comprises both public and private sector entities that are concerned with the financing, provision or delivery of health services. A health establishment is a public or private institution, facility, building or place, or part thereof, that is operated or designed to provide in-patient or out-patient treatment, diagnostic or therapeutic interventions, nursing, rehabilitative, palliative, convalescent, preventive or other health services. 1. Compliance Inspectorate, Certification and Enforcement: This programme manages the inspection of health establishments to assess compliance with national health systems, norms and standards, certify health establishments as compliant or non-compliant with prescribed norms and standards and take enforcement action against non-compliant health establishments. This process will also consider information from the Complaints Centre and reports of the Early Warning System. 2. Health Standard Design, Analysis and Support: It provides a high-level technical, analytical and educational support to the mandate of the Office in relation to the research, development and analysis of norms and standards; and support, capacity building and establishment of communication networks with stakeholders. 3. Complaints management and Office of the Health Ombud: It aims to consider, investigate and dispose of complaints relating to non-compliance with prescribed norms and standards in a procedurally fair, economical and expeditious manner. 4. Corporate Services: it aims to provide the financial, human resources, IT and administrative support necessary for the OHSC to deliver on its mandate and comply with all relevant legislative requirements. 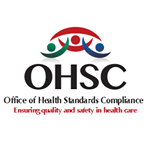 The OHSC has its roots in the National Health Act of 2003 which recognised the need to foster good quality health services and made provision for an “Office of Standards Compliance” to be created within the Department of Health (DOH). It also provided for inspectorates of health establishments to be established in all provinces. The Act envisaged that the office set up within the DOH would play a dual role: it would advise on how to improve quality of care as well monitoring and reporting on non-compliance with health standards. This office was established as a cluster of DOH in 2008 and played an active role in driving quality assurance systems in the public health sector. This cluster also co-ordinated the development of a comprehensive set of National Core Standards for Health Establishments (NCS). The process involved extensive consultation and piloting of the NCS before they were finally adopted by the National Health Council as policy, applicable in all provinces. Detailed tools for measuring compliance with the NCS were subsequently developed and health establishments began to self-evaluate using these tools. However, even as the Office within the department was taking shape and generating national standards, broader health policy evolved and it became clear that there was a need for an independent body to certify health establishments in both the public and private sectors. This was especially relevant in the light of the 2011 decision to introduce a system of national health insurance over the course of the next 14 years and create a national health insurance fund which would purchase services only from certified healthcare providers. 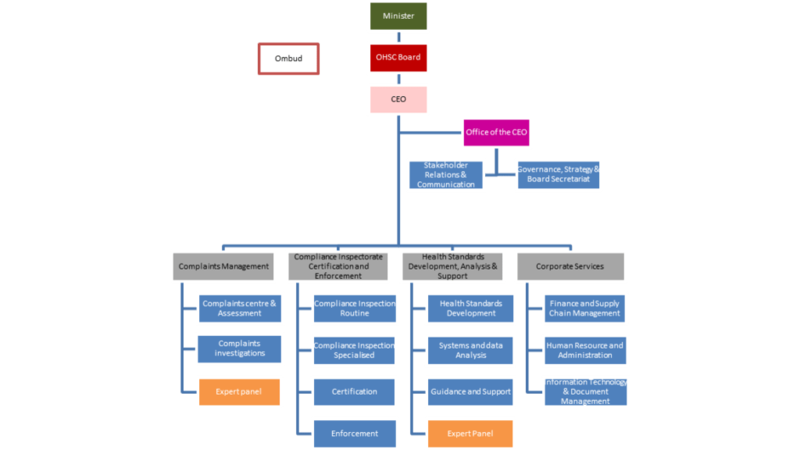 The internal office became the springboard for the creation of this independent regulator, the Office of Health Standards Compliance (OHSC). Drawing on international best practice and insights from various regulatory bodies in South Africa, the office assisted in the drafting of the relevant legislation and developed a business case for the envisaged OHSC. In addition, a national inspectorate of health establishments was set up within the DOH in 2011. The intention was that members of the inspectorate would transfer to the OHSC once the legislative process had been concluded and the OHSC had been created as a public entity. A dedicated training course was developed for inspectors, and senior members of the team had opportunity to undergo additional training at the Care Quality Commission in the United Kingdom. Provided an indication of the overall level of performance of health establishments in the public health system in relation to NCS. Produced extremely useful information on the adequacy of the NCS for measuring quality of care. This knowledge is being applied in the drafting of the first regulations on norms and standards. Gave health establishments a foretaste of the inspection process and how this could be used constructively to guide quality improvement. The above developments ensured that, when the National Health Amendment Act was promulgated in 2013, giving birth to the OHSC, there was fairly widespread understanding in the healthcare sector of the concept of certification against prescribed standards. The OHSC functions under control of a Board appointed by the Minister of Health in terms of the National Health Amendment Act of 2013. The Board is the accounting authority of the Office and is responsible for determining the policy of the OHSC and undertaking strategic planning for the functions of the Office. The Act specifies that the Board should consist of seven to twelve members. Most members are selected on the basis of specific expertise and experience in various areas of healthcare, the law, finance and economics, the private and public healthcare systems, and quality assurance. One member represents organised labour and one is a representative of civil society organisations. The Minister makes the final selection of members from individuals nominated by institutions of higher learning, civil society organisations, trade unions and other organisations in response to adverts in the Government Gazette and national press. The Chief Executive Officer and the Chief Financial Officer of the OHSC are ex officio members of the Board. 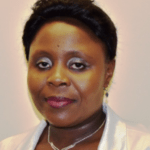 Ms Oaitse Audrey Montshiwa was born on the 15 April 1956, into a family of nine which includes her parents. Her parents ran a successful family businesses in Warrenton and Ganyesa. She attended St. Paul High School in Taung and stayed at the Boarding house along with other students from various backgrounds and from all across South Africa. She obtained Her Diploma in General Nursing and Midwifery at St. Konrads Hospital (Taung). She then persued her Bachelor’s Degree in Nursing at the then University of Bophutatswana and majored in Community Health, Nursing Administration and Sociology. She obtained her B. Curr Honours at UNISA. She has worked in Paediatrics, Maternity, Mobile clinics and School Health Services under the then Bophuthatswana Government. She was also involved in Clinical teaching and Class teaching at St. Konrads (Training Community Hospital). This was over a span of 23 years. She has also worked in the Private Health Sector namely: Milpark and Sandton Medi-clinic Hospital and has 4 years working experience in England, working as a Staff Nurse (Registered Nurse). 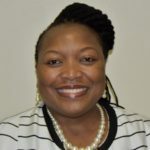 She is now employed by St. Joseph’s Care and Support Trust as a Director at Bronkhorstspruit since 2012 and currently a Deputy Chairperson on the Board of the Office of Health Standards Compliance – Pretoria. She is acting head of nursing at the University of Stellenbosch. Her 28-year career as a professional nurse included a period as nursing service manager of a 300-bed surgical unit at Tygerburg Hospital, Cape Town. Her research in recent years has focused on continuous quality assurance in clinical environments. He is founder and chief executive of the Council for Health Service Accreditation of Southern Africa. 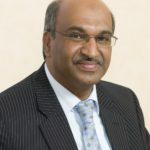 He is an authority in the area of quality assurance and quality improvement in the field of healthcare and has consulted on these matters to the World Health Organisation. Dr Bandile Masuku is an obstetrician & gynaecologist by profession with special interest in twin pregnancy and currently working as a HOD of Obstetrics and Gynaecology at Thele Mogoerane Regional Hospital (The new Natalspruit). He is a health and education activist with extensive experience in policy making and leadership in both education and health sector, which he begun in the late 80’s with COSAS, then SASCO & ANCYL and now lately with the ANC. He worked as the coordinator of the ANC Health and Education NEC subcommittee since 2008 as well ANC NHI (National Health Insurance) Task Team. He has served SASCO at all levels ultimately becoming National President in 2002. He also served the ANCYL at all levels ultimately becoming ANCYL National Spokesperson in 2013. To date he also serves as Chairperson of University Council for TUT (Tshwane University of Technology) and serves as council member of Council on Higher Education (CHE). He is married and is a father of two boys. Olehile Maurice Bada Pharasi was born in Kimberley, South Africa, in 1956. 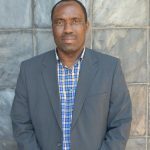 He has worked as a pharmacist for over 30 years and has experience in medicinal policy development, operational research, implementation of drug action programs, report writing, medicines legislation and pharmaceutical logistics. He played a leading role in the development and implementation of South Africa’s National Drug Policy as a chief director in the National Department of Health in 1996. He has headed two ministerial task teams on medicines procurement and availability in South Africa’s public sector. He has also been involved in the assessment of medicines procurement systems in Zimbabwe, Lesotho, Mozambique and Malawi. 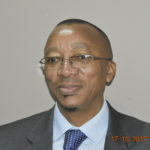 He is the immediate past President of the South African Pharmacy Council (2009 – 2014).Bada served as Management Sciences for Health’s (MSH’s) Country Representative for South Africa and as Country Project Director of MSH’s 5-year Systems for Improved Access to Pharmaceuticals and Services (SIAPS) project. He served in both capacities up to the end of 2016, when the projects closed. Bada started working as an independent consultant in 2017 and enrolled with Results in Health as a PSM expert for Global Fund grant making projects. He completed a consultancy in Malawi in June 2017 on the feasibility of outsourcing hospital pharmaceutical services. He is a keen writer and is a member of the Gauteng Professional Editors Group (PEG). He is also a member of the Institute of Directors of Southern Africa, through which he has done a suite of courses on “How to be a Director”. He was appointed to the Board of OHSC at the beginning of 2017 and serves on its Audit, Risk and Finance Committee. 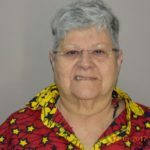 Sheila Barsel has had thirty-nine years employment in leadership and management in the student (10 years), private (22 years) and public (14 years) sectors. For 5 years she worked in the Policy Department of NEHAWU as Health Researcher. For the past 3 years she has worked in the Office of the Deputy Speaker of the National Assembly. Her history in the health sector goes back to 1990 when I joined the ANC health desk. Since then has been involved within the ANC to develop the National Health Insurance (NHI). Following this she served on the Ministerial Committee to further develop the NHI. She later developed a research unit on NHI for NEHAWU and continues to assist the Union. Sheila is an i-Coach accredited coach, with a post graduate qualification in Adult Education. 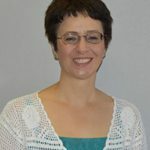 She is a certified provider of Trauma Release Exercises (TRE) and Quantum Energy Coaching (QEC). Her passion is to assist with developing leadership particularly among young people. Sheila serves on the Council of the University of Cape where she has been serving since 2010. Sheila enjoys gardening, writing and reading books on a wide range of topics and lives in Cape Town with her partner and 2 cats. Sheila was appointed to the Board of the OHSC in 2017 and serves on the Auditing, Risk and Finance Committee. 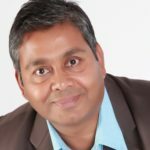 Prof Chetty is a registered Specialist Family Physician. He serves as Chairman of the IPA Foundation of SA and Chairman of KwaZulu Natal Doctors Healthcare Coalition. 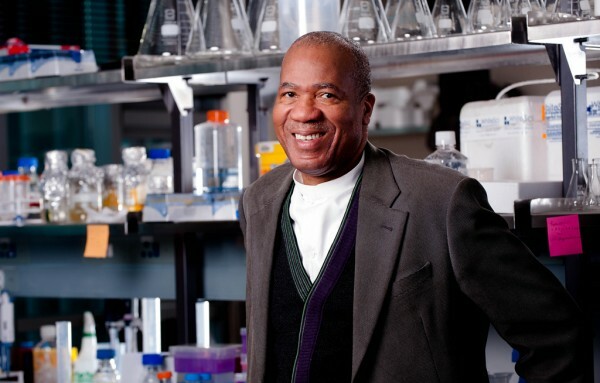 He is the visiting Professor in the Department of Health Sciences at the Durban University of Technology. He writes for the Medical Chronicle (Medical Journal) regularly and other Journals when invited to do so. He was awarded the Fellowship of Family Physicians by the College of Medicine of SA – 2013 – FCFP(SA). He has written two books on Managed Care and is a speaker at National and International Conferences on a regular basis. Prof Chetty has been the recipient of a number of awards for leadership in Healthcare, including the Life Achievement Award for Quality in Healthcare, Discovery Health (2018) and the BHF Titanium Award for Excellence in 2017. Prof Chetty was awarded the Fullbright & Humphrey scholarship to the USA in 1993 – 1994. He completed his MPH in the USA. 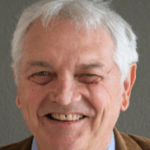 He serves on ISQua on the Partnering with Patients Programme, has been appointed as an ISQua Expert and is appointed on the International Academy of Quality and Safety (IAQS). Prof Chetty’s interests are Quality and Safety in Healthcare and is an advocate for Best Practice Medicine. 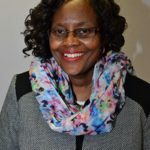 She holds a BA Degree in Biology from Knox College, Illinois, USA; Masters in Medical Science Microbiology from Medunsa; MBCHB from Medunsa; Management Development Course for Healthcare Professionals from both Wits Business School and Duke University; Post Graduate Diploma in Health Systems Management and Executive Leadership from University of Pretoria. Dr Mndaweni’s career and leadership journey is imbued and manifest itself in a number of entities she worked for. Her previous roles and positions include amongst others, Deputy Director-General: District Health Services, KwaZulu-Natal, Department of Health, Chief Director: Strategic Health Programmes, KwaZulu-Natal Department of Health; Chief of Party, URC USAID TB Programme and Deputy Chief of Party of the Right To Care EQUIP Programme. 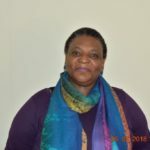 Her professional accomplishments include amongst others, notable management of the overall implementation of the HIV, TB, Child and Maternal Health Programmes in KwaZulu-Natal Provincial Department of Health. She also brings over a wealth of experience from public health policy and program implementation from several African countries she supported. Dr. Mndaweni’s commendable knowledge in public healthcare will contribute towards the OHSC accomplishing its mandate in ensuring quality and safety in both public and private healthcare establishments in South Africa. 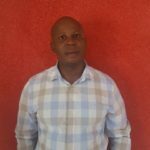 Mr Julius Mapatha has over twenty-one (21) years working experience. During his working life he has occupied various technical and leadership positions covering the areas of finance, accounting, human resource and general management. This experience has been acquired in various sectors covering mining, FMCGs, NGOs, trade and investment promotion. Ricardo Mahlakanya is a qualified communications and media relations professional with a B-Tech Degree from Tshwane University of Technology. 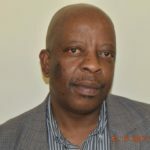 Over the years, he worked for a number of government and parastatals in areas such as communications, media relations, campaigns and stakeholder relations just to name but a few. He is currently pursuing his Honours Degree in Communications with University of South Africa. Matshidiso Montsho acquired a Masters in Business Administration through Regent business school and a B Cur qualification in nursing. She is also qualified in trauma and orthopaedic nursing. She worked at various management positions at Netcare Hospitals. 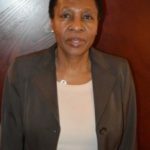 Her last role was as Executive manager at Clinix Health Group as well as director for Clinix Health Academy before joining Office of Health Standards Compliance. Monnatau Moses Tlholoe is Director of Complaints Centre and Assessment. He has 20 years of experience in the Public Service Health Sector, including management experience in Nursing Services Management and General Hospital Management. He holds a Bachelor’s Degree in Health Administration and Education and a Masters of Business Administration (MBA) degree. He also holds numerous management certificates. Among his notable achievements is his role in the implementation of the National Core standards in Primary Health Care health establishments in Dr Kenneth Kaunda District, North West and he participated in the Inspection Team for private health establishments in the same district. He has a passion for service delivery and staff development. He believes every organisational success depends on leadership capacity and development. 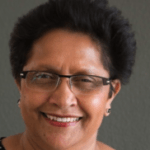 Dr Grace Labadarios graduated from the University of Stellenbosch in 1992 with an MBChB following which she returned to the UK, her place of birth. She obtained the Diploma of the Royal College of Obstetricians and Gynaecologists (DRCOG) in 1996, the Certificate of the Joint Committee on Postgraduate Training for General Practice (JCPTGP) in 1999 and became a Member of the Royal College of General Practitioners (MRCGP) in March 2010. She joined COHSASA in 2011 as the GP Accreditation Programme Coordinator and was responsible for all standards development from July 2013 until September 2015. She joined the Office of Health Standards Compliance in October 2015 as the Director of Health Standards Research, Design and Development. Mr. Jonas Lesetja Phoshoko is a Master of Business Leadership (MBL) from the School of Business Leadership of UNISA and a BCom (Accounting) graduate from the University of Limpopo (former University of the North). He has over ten (10) years experience and has occupied various management positions in the field of finance and accounting. Major part of his management experience was acquired in public sector, mainly is public entities. Jay Tulsee joined OHSC in October 2014 as the CIO/Director of ICT. Tulsee has 25 years of health care IT experience. 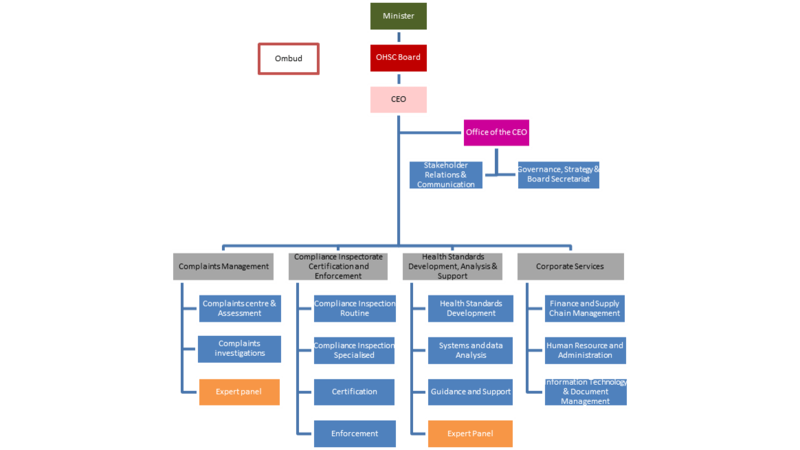 Prior to joining OHSC, Tulsee held a variety of senior positions in IT with several Health organisations. Tulsee holds a diploma in medical technology, information technology and a master’s degree in business management. Mr P Moholola joined the Office of the Health Standards Compliance in December 2014. He holds B Admin Honours degree, specialising in human resources management, from the University of the North (now Limpopo University). He is currently in the process of completing an MBA qualification with Tshwane University of Technology. He has extensive experience in all areas of human resources management, including ten years at senior management level. Adv Motatetsi Johannes Mantsho (B Juris and LLB) is an admitted Advocate of the High Court. 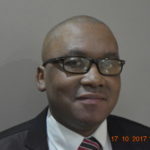 He has worked as a Judge’s Associate in the Labour Court, Legal Administration Officer for several government Departments, State Law Advisor in the Offices of the Premier in Gauteng and Limpopo and a Board Secretary for two Public Entities of government. 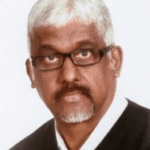 He is an astute lawyer with considerable experience in the provision of legal advisory services within government (drafting, editing and amending of legislation and contracts) and corporate governance. He has completed the following courses: Management Development Program with the Universities of Pretoria and WITS, Legal writing UCT, Legislative Drafting JHB, King III on Good Corporate Governance for Directors and Company Secretaries IOD. 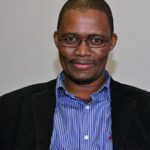 He also served as a member of the Ministerial Advisory Committee on Medico Litigation and as a Secretariat for the Independent Ad Hoc Tribunal established by the Minister of Health to adjudicate on appeals against the recommendations of the Health Ombud in relation to the death of mentally ill patients in Gauteng: Life Esidimeni. He also served as a member of the Ministerial Advisory Committee on Medico Litigation and as a Secretariat for the Independent Ad Hoc Tribunal regarding appeals lodged against the recommendations of the Health Ombud in relation to death of mentally ill patients in Gauteng: Life Esidimeni. He is accredited as a Mediator by the Mediation in Motion in conjunction with the University of Cape Town. Currently Adv Mantsho is employed as the Executive Manager Legal Services and Board Secretariat by the Office of Health Standards Compliance. He has occupied various positions in both the Non-Governmental and Private Pathology Laboratory Sectors; and the South African Police Services Forensic Science Laboratory. 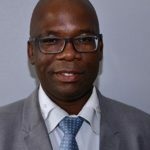 He has been at the employ of the National Department of Health since 2005 where he ascended from a position of Assistant Director to a Senior M&E and Research Specialist for the Global Fund Cluster within the HIV & AIDS, TB and MCWH branch. 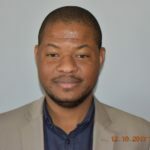 Terrance has experience in Monitoring and Evaluation of the ART programme including implementation and rollout of the electronic HIV register or TIER.Net in health facilities across the country. He has been a Senior M&E and Research Specialist for the Global Fund Cluster since 2014 and has managed the programmatic component of the Single Stream Funding and New Funding Model grants to Fight HIV and TB in South Africa. His highest qualification is a Masters Degree in Public Health. He has an Honours degree in Infectious Diseases and Immunology (Medical Microbiology) from the University of Cape Town. Terrance is completing his second Masters degree in Business Administration. The Minister of Heath has appointed Professor Malegapuru William Makgoba as the first Health Ombud since 1 June 2016. The Act directs the Health Ombud to perform his functions “in good faith and without fear, favour, bias or prejudice”. Obtaining affidavits or statements from relevant individuals. Directing any person to appear before him or her and questioning this person. Requiring any person to produce evidence or documentation.